Paul had met Aquila and his wife, Priscilla when he was in Corinth. They were tentmakers just as Paul was, so he stayed with them and they worked together. When he left Corinth, the couple went with him. He went to Ephesus, then to Jerusalem, and next to the city of Antioch. After that he went back and revisited cities where people had been converted on a previous trip. Several interesting events took place in Ephesus. Paul found twelve men who had been baptized by John, and he told them they needed to be baptized into the name of the Lord Jesus. This they did, and then Paul placed his hands on them and the Holy Spirit came on them. 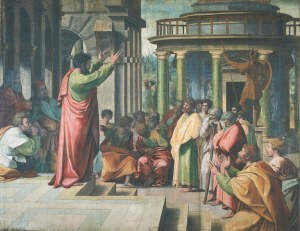 They began to speak in foreign languages just as the apostles had on the day of Pentecost. Also in Ephesus miracles occurred when handkerchiefs that had been touched by Paul were taken to sick people. People were healed and evil spirits left them. Paul was a tentmaker. He worked with his hands to support himself. Do you think the tents Paul made were of inferior quality, or do you think they were the best he could make? There is great value in doing a job well. What about you, are you a good worker, or are you a slacker? If you have a job to do, do you give it your all? Do you do your very best? When a job is worthy of our effort, we need to do it as if the Lord were standing beside us watching. He really is watching, you know. Be industrious. 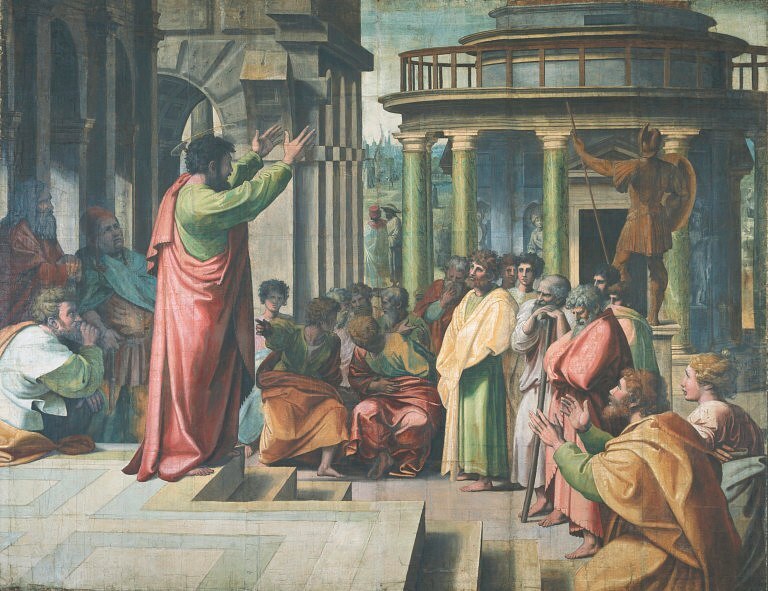 Press "Go" to search for books about The Apostle Paul. This page displayed 71,091 times.